Some upcoming events posted on the Academe blog, with the request that you email at academeblog@aaup.org if you have events to recommend. Please share them with us too. We're trying to develop a national event calendar and plan to add a calendar feature to the newsletter. Post questions and event recommendations in comments. The following list does not include contingent faculty issue panels or sessions at professional and discipline specific association meetings. We welcome adding those to our list too. “The Higher Education Crisis in Texas: An AAUP Advocacy Workshop,” October 29, 2011, Austin, Texas. The Second National Gathering of The Campaign for the Future of Higher Education, Friday, November 4th, 5:00 p.m. to Sunday, November 6th, 2011, 12:00 p.m., University of Massachusetts, Boston. AAUP Shared Governance Conference and Workshops, November 11–13, 2011, Omni Shoreham Hotel, Washington, DC. AAUP Annual Conference on the State of Higher Education, June 13 –17, 2012, Mayflower Renaissance, Washington, DC. Whither U? "Charting the Future of Higher Education"
But who or what is Education Sector (self described as innovative and an "independent think tank")? Siegfried Sassoon's definition of foxhunting (the unspeakable in pursuit of the inedible) comes to mind. YouTube clips from Education Sector's September 15, 2011, event, "Charting the Future of Higher Education"
for this event include: Zakiya Smith, Senior Advisor for Education, White House Domestic Policy Council; A. Craig Powell, CEO, ConnectEDU; Robert W. Mendenhall, President, Western Governors University; Kevin Carey, Policy Director, Education Sector; Paul Glastris, Editor, Washington Monthly (as moderator), with introductory remarks by Jamie Merisotis, President, Lumina Foundation for Education. This event will be videotaped and recordings will be available following the event. Education Sector and Washington Monthly thank the Lumina Foundation for its support of this event. Salt Lake's Deseret News seems to be one of the few dailies that noticed the US slipping again in the OECD's international rankings of student attainment, this time from 12th to 16th. Paul Glastris attributes national complacency to US News's annual parade of elite privates, which he says suggests the U.S. is still on top. But there's a deeper dynamic at work, something more weirdly self-destructive within American policy today. For example, Paul Krugman writes what must be his 50th denunciation of irrational Hooverist austerity that torpodoes the economy -- or, in today's metaphor, that applies leeches to bleed an already enfeebled patient. Closer to hope, I am nearly done listening to a recording of last Thursday's UC Regent's Committee on Finance discussion of UCOP's idea of presenting Sacramento with a simple tradeoff between increased state support and tuition hikes. There is no consensus among the Regents about what the legislature thinks of UC, and thus nothing close to a strategy. I'll say more about this meeting later, but a mysterious vortex is pulling at everyone. More homework, reading to get us up to speed for when the Campaign for the Future of Higher Education meets in Boston at UMass, November 4-6 ... and this isn't even the half of it. Got questions for the Think Tank (Center for the Future... etc), ideas to add or items to suggest for the agenda? We'd like to hear them and promise to pass them on. Come too if you can. The better our turnout, the stronger our voice; and the stronger our voice, the harder ignore us and our issues. From the Graduate Journal of Social Science, a special issue on Interdisciplinarity and the "New" University. Storm the Ivies, revolutionaries of North America — nationalize them into submission, kick away the American plutocracy’s favorite ladder and watch a thousand flowers bloom. From LRB, from Robbins to McKinsey: Stefan Collini on the dismantling of the universities. From Arena, an article on the idea of the university, out of the shadow of the neo-liberal academy.... Clayton Christensen and Henry Eyring on how to save the traditional university, from the inside out. Yes, the survey again.... and this won't be the last time either. If there is any problem with the link in the message below, try this link. The NFM Foundation is launching a survey today to study the Fall 2011 back-to-school hiring process experienced by those faculty members employed in contingent (also known as adjunct or non-tenure-track positions, whether full-time or part-time). The survey, which should take no longer than 15-20 minutes, is part of a larger study we are doing of hiring practices. This survey is intended to give us some preliminary data on what contingent faculty experience during the beginning of the academic year. The survey link can be found below. We would appreciate receiving responses no later than Sept 20. We look forward to sharing the results with you. Please feel free to contact Dr. Esther Merves, Director of Research and Special Programs, if you have any questions or if you are interested in participating in more surveys and/or helping with research projects. She can be reached at esther.merves@newfacultymajority.info. Thank you for your participation in this important research! New Faculty Majority Foundation supports the work of New Faculty Majority: The National Coalition for Adjunct and Contingent Equity with complementary programming. Its mission is to educate the public about the impact of the contingent faculty crisis on educational quality and the public good, and to mobilize a broad coalition of constituencies to support ethical reform. The NFM Foundation has received support from The Marguerite Casey Foundation, The Ford Foundation, and the French American Charitable Trust. Federal tax-exempt 501(c)3 sttus is pending for the NFM Foundation. Tax-deductible contributions to the Foundation can currently be made through our fiscal agent, The Center for Community Training and Assitance (CTAC) in Boston, MA. Once more into the breach, a ready made Reading Room post for the harried blogger. Forget Calgon take me away: Omnivore to the rescue. It's not like I don't have posts simmering in drafts (notably), issues to address (some even relevant) and drums to beat. but this is like coming home late after a tiring commute and not having to cook dinner. The Left-leaning tower: why conservatives steer clear of grad school. 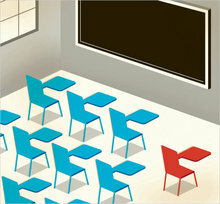 Left-leaning lecture halls: Universities like to think of their lecture series as&In academianbsp;extensions of the education that students get in their classrooms — unfortunately, they usually are. Paul Gottfried on character sketches of academic loons. Less academics, more narcissism: The University of California is cutting back on many things, but not useless diversity programs. English professors have long been straying far afield from literary studies, expanding into women’s studies, disability studies, ethnic studies, even fat studies — recently they have migrated into animal studies. Oddly enough, the unsustainability of the overall financial system that became obvious in 2008 has for the moment made that system politically stronger. The same has happened to the American funding model for higher education (AFM). Its clear failure to maintain necessary revenues has only increased its power over the educational mission. In the incumbent model's weakness lies its strength. In the strength of the criticisms lies their futility. Hence our widespread fatalism. Read the rest here; see also preview and brief commentary at reclaim UC, "provisional home of the College of Debtors in Defiance"
A new article from Chris Newfield about public universities and the "American Funding Model" (AFM) whose primary effect has been to shift "public university revenues to a specific kind of private source, for three decades. Voters are often told that the shift means that wealthy donors and research sponsors have picked up a big part of the educational bill, but this is simply not true. 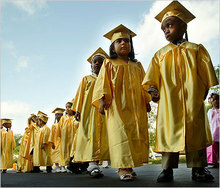 The AFM means shifting educational costs from the overall population to students and their families. The model also shifts costs from old to young, and in California from a 70 per cent white voting public to a 70 per cent student-of-colour secondary-school population." Come to Boston November 4-6 for The Campaign for the Future of Higher Education Meeting at UMass. It starts Friday at 5 P.M. and ends Sunday at 12 Noon. We will have a packed agenda, but also plenty of time to get to know and learn from each other in more relaxed ways. You will hear and discuss how disinvestment, privatization, cost-shifting and curriculum changes – i.e. the attack on students and the public sector – are playing out on campuses and in states around the country. We will hear how students, faculty, and citizens in coalition are finding new ways of fighting back. Most important, together we will build on the vision for CFHE and decide on activities to help us attain that vision. And we might even have an action while we're all here! Most meals will be provided; donations will be accepted on a voluntary basis. Address conference inquiries to CFHE.conference@gmail.com. Local CFHE organizer John Hess is managing the email address, responding to emails, answering questions and appropriately redirecting ones he can't. All rooms include a full hot breakfast buffet, free shuttle service to and from Logan Airport from 5 am – 10:30 pm, indoor heated pool, fitness center open 24 hours, free high speed internet throughout out the hotel. There is public transportation to UMass Boston via the #8 bus which picks up right outside the hotel and drops off at UMASS. But it doesn't run as frequently as we might like outside of rush hour, so taking a taxi to UMass, which with three or four or more in it would not be expensive, basically the cost of the bus, might be the best bet. The rooms are on hold for us until October 15, so please register by then. The hotel won't guarantee availability after the 15th. Register as early as you can and be sure to mention you are registering for the CFHE meeting. If you encounter any difficulty registering, ask for Erika Ortiz, the events manager. Heads Up Writing Teachers! The Machine is coming for you too! ... and you, Dear Adjunct, were worried about text analysis based grading and editing software replacing you. Today, journalism: tomorrow, romance novels, content mill articles and student essays. When students submit machine written essays, just send them to another machine to grade. Students, teacher, all middlemen ~ superfluous? Forget the Terminator narrative: could this be how machines really start talking to one another? This story, surely a foreseeable next step for text analysis software, surfaced over a year ago in the business press. Later, bloggers and web writers started receiving email offers on software to generate content, not just edit articles but write them from scratch. Now the Grey Lady is running with it in the business section. Is anyone among us so foolish as not see any connection with the much touted free open access Stanford AI Course? Recent articles suggest less transparent motives, Beta testing a platform for mega delivery and assessment modes, may trump touted Open Education impulse. Those words began a news brief written within 60 seconds of the end of the third quarter of the Wisconsin-UNLV football game earlier this month. They may not seem like much but they were written by a computer. The clever code is the handiwork of Narrative Science, a start-up in Evanston, Ill., that offers proof of the progress of artificial intelligence the ability of computers to mimic human reasoning. The companys software takes data, like that from sports statistics, company financial reports and housing starts and sales, and turns it into articles. For years, programmers have experimented with software that wrote such articles, typically for sports events, but these efforts had a formulaic, fill-in-the-blank style. They read as if a machine wrote them. But Narrative Science is based on more than a decade of research, led by two of the companys founders, Kris Hammond and Larry Birnbaum, co-directors of the Intelligent Information Laboratory at Northwestern University, which holds a stake in the company. And the articles produced by Narrative Science are different. Experts in artificial intelligence and language are also impressed, if less enthralled. Oren Etzioni, a computer scientist at the University of Washington, says, The quality of the narrative produced was quite good, as if written by a human, if not an accomplished wordsmith. Narrative Science, Mr. Etzioni says, points to a larger trend in computing of the increasing sophistication in automatic language understanding and, now, language generation. The innovative work at Narrative Science raises the broader issue of whether such applications of artificial intelligence will mainly assist human workers or replace them. Technology is already undermining the economics of traditional journalism. Online advertising, while on the rise, has not offset the decline in print advertising. But will robot journalists replace flesh-and-blood journalists in newsrooms? Narrative Science (in their own words), "We turn data into stories"
Long & short form articles, headlines, business reports, summaries & more. Customized formats, voices & points-of-view. All original & (SEO) optimized content. As the day went on, the parade included contingents from the Manufacturing Shoemakers Union No. 1 (wearing blue badges), and an especially well-received contingent from the Big 6 - Typographical Union No. 6 - whose 700-strong delegation marched with military precision (they had practiced beforehand.) The Friendly Society of Operative Masons marched with their band. They were followed by 250 members of the Clothing Cutters Benevolent and Protective Union, the Dress and Cloak Makers Union, the Decorative Masons, and the Bureau of United Carpenters (who marched with a decorated wagon). 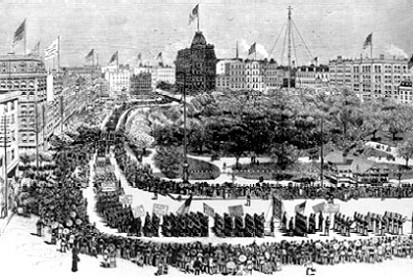 The parade was filled with banners: "Labor Built the Republic - Labor Shall Rule It"; "To the Workers Should Belong the Wealth"; "Down with the Competitive System"; "Down with Convict Contract Labor"; "Down with the Railroad Monopoly"; and "Children in School and Not in Factories," among others. The members of the Socialist Singing Society carried a red flag with a yellow lyre in its center. The banner which perhaps summed up the entire procession best was carried by members of the American Machinists, Engineers, and Blacksmiths Union (who wore heavy leather aprons and working clothes). It read simply: "Let Labor Unite." It was the first Labor Day parade - and it took place on a Tuesday. Public education, higher, middle and lower, is under siege. I'm old enough to remember reading "Why Johnny Can't Read" (Time, 1955), but the current fever pitch reaches new levels: rants, critiques, conflict and conflicting solutions multiply. Johnny still can't read, yet there is still no agreement on the why or the how. If that was a problem in middle school, imagine Johnny in college now because, ready or not, everyone is supposed to go. New this round are two game changers. One is disruptive innovation in the form of advances in communication technology, learning analytics and sophisticated algorithms for learning software touted as capable of supplanting teachers or at least reducing the number needed. The other is the economy shrinking education funding. See the connection? Enter conflicting solutions and the players bearing them ~ the tech team vs the traditionalists or New School vs Old School.